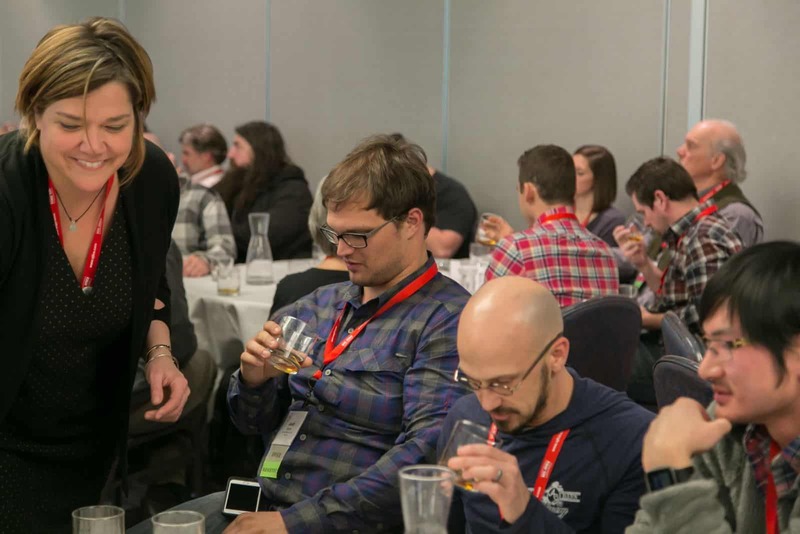 The 2017 CiderCon unfolded in Chicago earlier this month, bringing together cider professionals and aficionados from across the globe. Be sure to check out our photo booth photos, CiderShare photos, Workshop and Exhibition photos and information on 2017 CiderCon award winners! CiderCon 2018 will be held in Baltimore, Maryland! In addition to the CiderCon happenings throughout the week, the incoming board of directors has elected the 2017 executive committee, including the following members: Bruce Nissen of Jester & Judge Cider Company (Stevenson, WA) as president, Trevor Baker of Noble Cider Company (Asheville, NC) as vice president, Paul Vander Heide of Vander Mill (Spring Lake, MI) as secretary and Eleanor Leger of Eden Specialty Ciders (Newport, VT) as treasurer. These board officers will exhibit enhanced leadership roles for the association in 2017, including a close working relationship with USACM executive director Michelle McGrath. Four new board members were also elected during the annual business meeting held at CiderCon, including Marcus Robert of Tieton Cider Works (Yakima, WA) as the Northwest regional board chair, Dan Young of Tandem Ciders (Suttons Bay, MI) as the Midwest chair, Eric Foster of Stem Ciders (Denver, CO) as the Mountain/West chair and Brian Shanks of Bold Rock Cider (Nellysford, VA) to one of three large-producer seats reserved for cideries making over 500,000 gallons of cider a year. See you next year in Charm City!